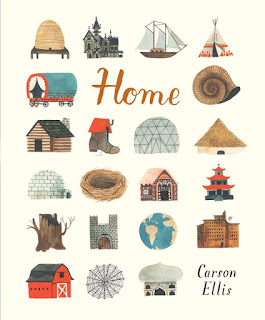 Carson Ellis is the talented author-illustrator of Home, whose latest picture book is very mysterious indeed. Introducing, Du Iz Tak? 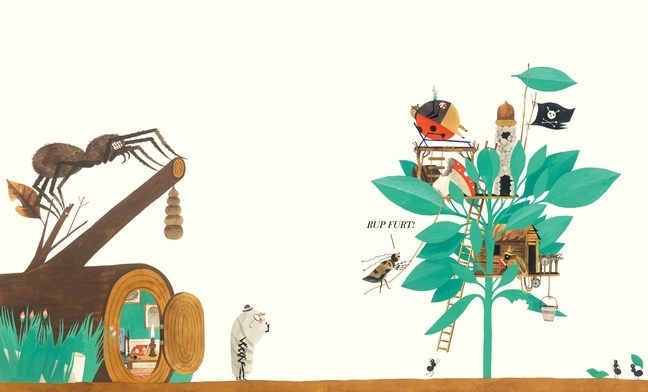 An exquisite tale of the natural world written in ... “Bug” language! Full of imagination, this brand new picture book explores the changes of nature that can be found in your own back garden, all through an invented language and gorgeous illustrations that appeal to both children and art-lovers alike. Perhaps this endearing bug language was inspired by Carson’s own home; a farm in Oregon, USA, where she lives with her family, one cat, two llamas, two goats, one sheep, and eight chickens, a family of barn owls and lots and lots of tree frogs! After studying painting at university, Carson went on to illustrate in several books such as The Composer is Dead by Lemony Snicket, Dillweed’s Revenge by Florence Parry Heide, and collaborated on the bestselling Wildwood series with her husband Colin Meloy. Her debut solo picture book Home is a beautiful tribute to the many places that we all call home. 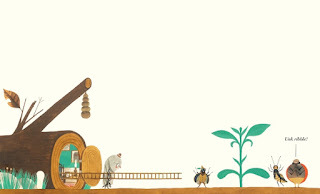 From houses to flats, and even shoes, from messy homes to homes from myth, Carson created a book brimming with visual treats that achieved international acclaim. Check out this Q&A video with Carson Ellis to find out more about her and the inspiration behind Du Iz Tak? 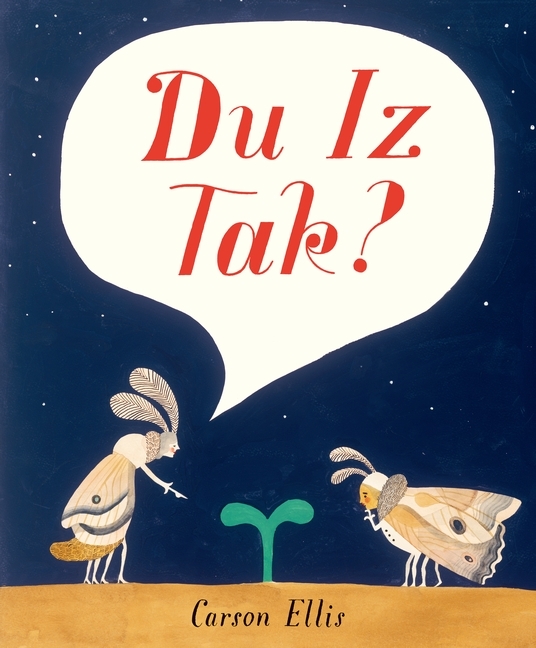 Be the first to get your hands on a copy of Du Iz Tak? and pick up a copy at your local bookshop.